The U.S. Consumes 1500 Bottles of Water Per Second…That’s Enough to Make Anybody Choke! Plastic bottles are a BIG problem in more ways than one and the odds are that you’re a major contributor. Being part of the problem is being part of the problem, no matter how conscientious you are about your pretty blue recycling containers! If you could wrap your head around how BIG the problem is; you should have trouble sleeping at night! The bottled water trend is enough to make anybody choke! Out of the 80 billion bottles of water being bought each year, 80% end up in the landfill despite our “recycling” efforts. Though recycling programs do exist, most bottles don’t end up there. You may not be throwing them into the streets and streams yourself, however what you place in the recycling container rarely goes where YOU THINK it goes. Why not, you ask? Because there is no longer a market for it…at least not much of one. Plastic that isn’t RESOLD to someone else (primarily China) for recycling purposes goes directly into our landfills! 17 million barrels of oil are used to produce plastic water bottles EACH YEAR. This doesn’t include the cost to transport water from one side of the planet to the other. So much for our oil crisis. Apparently plastic bottle production takes priority over driving cars and heating homes. If you believe that we have an unlimited supply of natural resources, THINK AGAIN! The cost of bottled water is 1,000 times more than tap water, and yet – most of it IS tap water under a different label. How does it feel to be suckered? The plastic leaches toxins into the water…period. In fact, the process used to “purify” this water requires temperatures high enough to cause the plastic to leach into the water the minute the bottle is filled! These toxins have been proven to cause cancer and disrupt hormones. Is it any wonder we have kids hitting puberty in the first grade OR that the #1 cause of death of children under the age of 14 is cancer? When I was a child the leading cause of death in children under the age of 14 was accidental drowning. 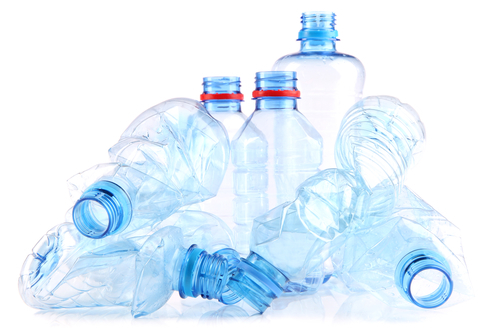 The average number of bottles used per person in the U.S is 167. In 2015 Americans consumed the equivalent of 1.7 billion half-liter bottles of water every week! Despite the massive volume of bottled water Americans are buying, they aren’t consuming enough to sustain hydration. Statistics suggest that each American is consuming 15 gallons of water each year. It’s no wonder Americans are sick! You should be consuming 15 gallons inside of a few weeks…NOT a year! It looks like your bottled water costs are about to double if hydration is your goal. If tap water cost the same as you’re paying for bottled water, the average American water bill would be $9000 per month! The most interesting point to be made here is that most people choke when they hear what I paid for my solution to this problem despite the fact that mine will last 20 years while theirs will last 20 minutes a bottle. Not only do these people need to go back to the drawing board for a solution of their own; they need a simple lesson in math too. I’m saving thousands of dollars PER YEAR and they’re part of a bottomless pit that will last FOREVER. 1500 bottles every single second? How long will you keep adding to the problem? Until then…how do you sleep at night? “I’m an environmental advocate specializing in water…a “mini Erin Brockovich”…instead of fighting for justice, I have solutions for businesses and solutions for families. Families like the Erin Brockovich family, the Bill Gates family, the Donald Trump family, the Martha Stewart family, the Oprah Winfrey family, the Jennifer Lopez family, the Chuck Norris family and a host of others…and I have a solution for yours too! YOU’VE GOT BIGGER PROBLEMS WITH WATER THAN YOU THINK! ← Withholding Water From Babies? No Wonder We Have Problems! I have never, ever consumed water from any vessel except glass – 4 16oz ones every day (filtered). FV PS I cringe when I observe folk partaking of liquids via plastic bottles. That’s so refreshing! I wish I could say that. Now that I know the difference and I understand the problem I’m on a mission to wake others up! Thanks for sharing.